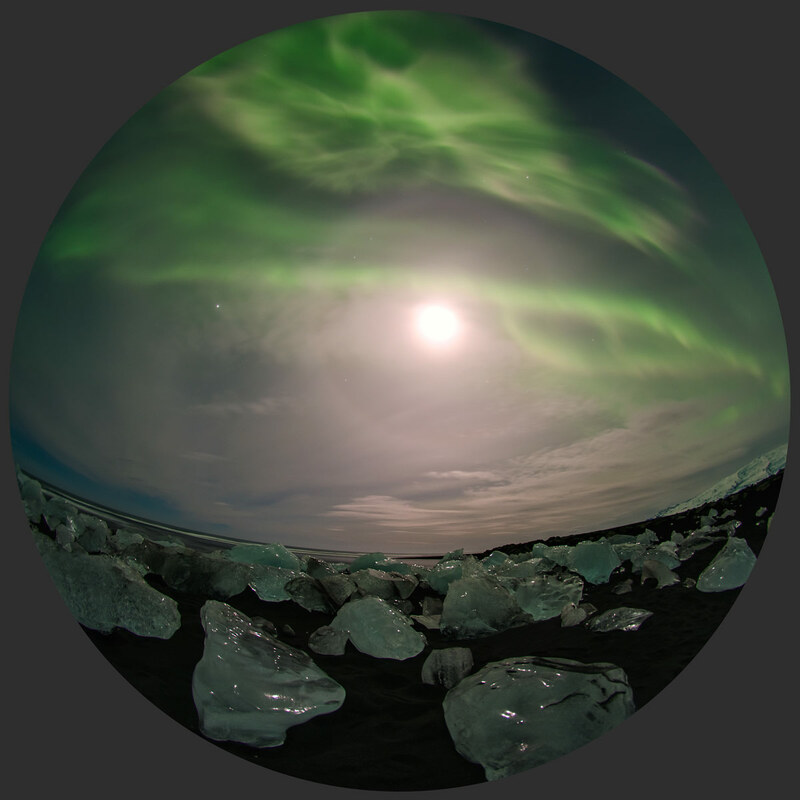 Explanation: Not from a snowglobe, this expansive fisheye view of ice and sky was captured on February 1, from Jökulsárlón Beach, southeast Iceland, planet Earth. Chunks of glacial ice on the black sand beach glisten in the light of a nearly full moon surrounded by a shining halo. The 22 degree lunar halo itself is created by ice crystals in high, thin clouds refracting the moonlight. Despite the bright moonlight, curtains of aurora still dance through the surreal scene. In early February, their activity was triggered by Earth's restless magnetosphere and the energetic wind from a coronal hole near the Sun's south pole. Bright Jupiter, also near opposition, is visible at the left, beyond the icy lunar halo.